Shooting Range Road, Block C, Surajkund, Faridabad. 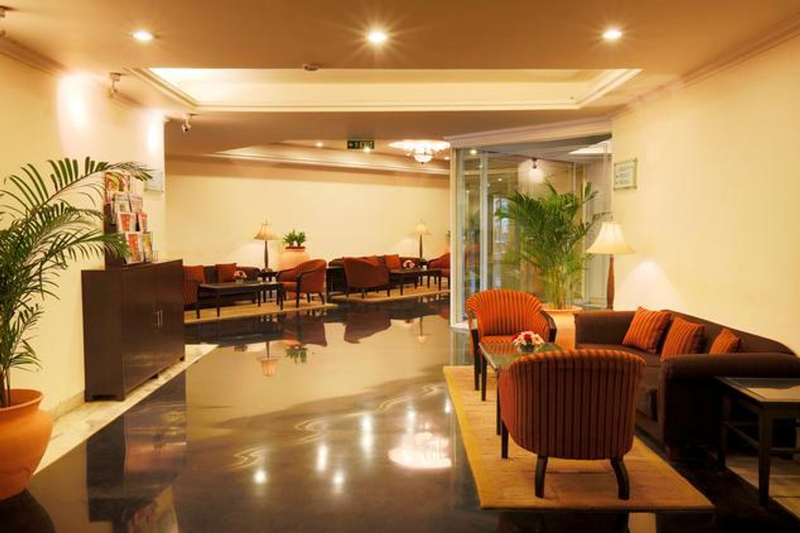 The Atrium is a Luxury Hotel nestled on the Shooting Range Road, in Faridabad. The Hotel is located at a distance of 3.6 km from its nearest metro station- Badarpur, on the Violet Line of DMRC. One can reach the venue through an 11-minutes drive from the metro station. Being one of the most luxurious hotels in Faridabad, The Atrium provides you with a class-apart ambience in each of its event areas. The Hotel provides you with 2 exceptionally classy Conference Halls with wooden dominated interiors, one bespoke Banquet Hall with state of the art interiors, and a picturesque poolside area for your outdoor parties. The venue has an accommodation capacity of up to 800 guests, which makes it suitable for your full-fledged events and celebrations. Hotel Atrium also provides you with an in-house team of decorators to set up your desired theme into the venue for your event. Dedicated to providing your guests with an exclusive culinary experience, Hotel Atrium offers an on-site team of chefs to cater in your event. The Hotel serves an extravagant variety of lip-smacking vegetarian and non-vegetarian food items from an elaborate menu of local and global cuisines. You can choose amongst the venue's multiple menus including High-Tea Menu, Social Functions Menu, and Wedding Menu. Hotel Atrium also serves a variety of alcoholic drinks and cocktails and allows you to get the same from outside. You can also opt for a leisure stay for your outstation guests here at the Hotel Atrium. The Atrium is an ideal Hotel for your events like Anniversary Party, Birthday Party, Cocktail Party, Conference, Corporate Party, Engagement Ceremony, First Birthday Party, and all your Pre-Wedding Functions, Wedding Ceremony, and Wedding Reception.